Mr. Payer is President and Principal Consultant of Liberty Transnational, Inc. Since its formation in 1993, Liberty�s clients have been involved in a variety of businesses, including telecommunications, media, information services, various applied technologies, and commercial real estate, and have ranged from large corporations (e.g., AT&T, Brooks Fiber Properties, MobileMedia, and SBC Communications) to start-ups. Liberty has advised clients on transactions totaling several billion dollars and on two occasions, these engagements have led Mr. Payer to accept an executive position with the client. Millennium Digital Media, where Mr. Payer was Chairman and a co-founder. Along with Mr. Sanders, Mr. Payer and their partners developed Millennium through seven acquisitions into the nation�s twentieth largest multiple cable system operator, and third largest competitive broadband provider, serving over 175,000 customers in five states. Mr. Payer was integrally involved in developing Millennium�s strategy and business plan and in completing each of the acquisitions. Millennium was one of the most successful competitive broadband service providers, generating the industry�s highest cash flow margins. MobileMedia Corporation, where initially as a consultant and then as its Chief Executive Officer, he renamed, reorganized, restaffed, refinanced, and redirected this paging and wireless data communications company with 1,300 employees and 1.3 million subscribers, achieving a record 35% EBITDA growth during his tenure. SBC Communications, where as the first strategic planner for the then soon-to-be-divested Regional Bell Operating Company, he developed the company�s initial strategies for acquiring cellular telephone, wireline telecommunications, and cable television providers both domestically and internationally. Subsequently, Mr. Payer directed the mergers and acquisitions organization in the identification, analysis, negotiation, and completion of transactions valued at over $4 billion. He also directed SBC�s venture capital investments. Mr. Payer was involved in a variety of transactions, including wireless communications (e.g., MetroMedia Cellular and Paging and over 30 other wireless transactions), telecommunications (e.g., Telmex), cable television (e.g., Hauser Communications in the United States and eight cable television and telecommunications franchises in the United Kingdom), and many other sectors. AT&T Advanced Mobile Phone Service (AMPS), where as a key executive of this pioneering U.S. cellular team, he resolved technical, design, and development issues and acquired the necessary tower sites to implement the first cellular systems in several of the nation�s largest cities, including Los Angeles, where he directed the total system redesign and the acquisition of primary cell sites. From both cost and speed standpoint, his cellsite acquisition efforts were the best in the nation, even in the high-cost and highly-regulated Southern California real estate market. Southwestern Bell Telephone Company, where he was seconded to AMPS and led the team that researched and analyzed the potential markets for wireless communications, developed applications for the FCC, engineered the cellular systems, and acquired the initial cell sites to start Southwestern Bell Mobile Systems, which was the foundational company for AT&T Mobility, one of the nation�s largest wireless communications service providers. Western Electric (now Alcatel-Lucent), where his telecommunications experience is rooted in the project engineering of some of the initial electronic switching systems deployed in major U.S. cities. These multi-million-dollar systems significantly advanced the service offerings and reliability of the telecommunications industry and gave Mr. Payer a strong foundation in communications technologies and architectures. 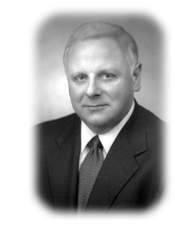 While at Western Electric, Mr. Payer was a key manager in implementing the industry�s first quality control program for engineering services and the company�s first national marketing organization. Mr. Payer�s broad knowledge and industry experience span the disciplines of engineering, finance, marketing, and operations, and encompass the geographies of the Americas, Europe, and Asia. His career has taken him from engineer to executive and from intrapreneur to entrepreneur, oftentimes on the leading edge of rapidly changing industries. Mr. Payer has served on boards of directors, both at home and overseas, and has taught a variety of business courses at two major universities. He holds degrees in Electrical Engineering (BSEE) and Management Sciences (MBA), and has completed all coursework required for a doctorate in Finance and Marketing from Saint Louis University. Mr. Payer is a registered Professional Engineer (PE), and a licensed real estate broker. He is also a member of various engineering, business, and professional societies (e.g., IEEE, NSPE, AMA et al.) as well as the Executive Advisory Board of Saint Louis University's Parks College of Engineering, Aviation and Technology.